In addition, the following python modules are recommended for development and testing of geojs. Get the latest geojs source code from our GitHub repository by issue this command in your terminal. 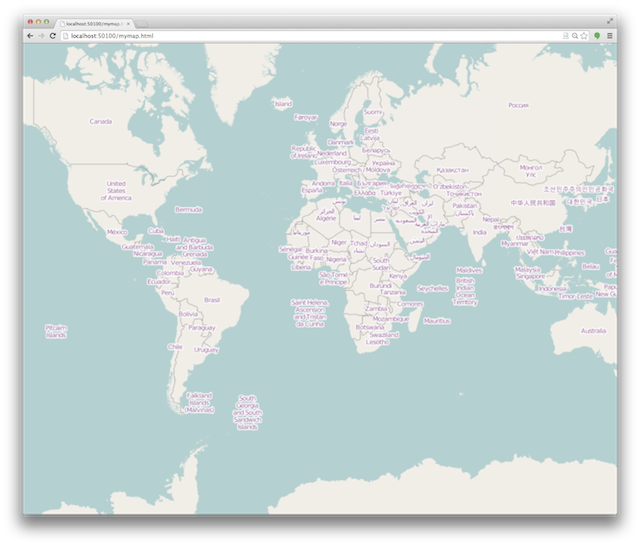 This will put all of the source code in a new directory called geojs. Geojs depends on another repository called vgl. In order to get the vgl source code as well you will need to go into the geojs directory and tell git to download the vgl submodule. The following html gives an example of including all of the necessary files and creating a basic full map using the osmLayer class. © Copyright 2014, Kitware, Inc.. Revision 1c5dbf4c663cf3cbe65febdd219f5c045ee3b1dc.